Learn more about Tawk.to - a free live chat application for all businesses. Includes Tawk.to reviews, ratings, pricing, and FAQs. Tawk.to, also known as Tawk, is a free live chat software solution for businesses of all sizes. Tawk allows you to communicate with customers in real-time on your website. What is the price range for Tawk? Tawk.to is a free chat software solution for businesses of all sizes. There are no paid tiers or premium plans. If you want to remove the Tawk.to branding from your widget, ticket emails or chat transcripts you will need to sign up for a subscription at $15.00 per month. If you don't have the manpower to answer customer inquiries, you can also hire a Tawk live chat agent at $1.00 an hour. Tawk.to is an easy-to-use and scalable live chat software solution that allows you to monitor and chat online with customers from a dashboard or mobile app. The widget comes with a range of features to improve your customer support, such as monitoring visitors in real-time, localizing messages in your language, and integrating with Wordpress and other content management and eCommerce sites. You can also add as many chat agents as you like and there are no limits on the number of chats you can have or websites you need to add the widget to. Talk.to vs Olark: which is the better live chat software? While Olark is a paid for service, Talk.to is completely free and both offer similar functionality and features. If you're a start-up or a small business, you might not want to pay for a live chat service in the beginning, so Tawk.to would be a great option. However, if you need a more robust option that comes with analytics and reporting, then Olark might be the best option for you. Where can I read a good Tawk.to review to help me make a decision? You can read detailed Tawk.to reviews on Capterra or Bestlivechatsoftware.com. How do I set up Tawk.to? Where do I find the Tawk.to login page? Go to tawk.to and click Login in the top right corner or sign in directly at dashboard.tawk.to/. Our organization uses a website to allow members to do various things like register for events. Sometimes, people have run into trouble or questions while trying to do something. Now, there's a little box in the corner that allows them to start a chat session with me so I can help them out. It has come in really handy and been a huge time saver for myself and our members. Tawk.to gives you basic, live chat for free with no restrictions. I mean, come on, before you go straight to Intercom, give Tawk a try. Sure the feature set and the customization possibilities are better on other platforms but all the other platforms strike me as prohibitively expensive for a small business. An easy way to enhance our website is through a chat tool, and one of the best is Tawk.to, it is very easy to install and use. Its administrative panel allows you to control in an organized way the communication with the users that visit our web. Tawk.to is a free chat plugin which you can use for chat with your customers or visitor at any plate form or your own build html or php website. Tawk.to has a simple dashboard with easy control and also provide easy customization environment. I was used for long time this plugin on my site. Excellent value. Tons of features, maybe even too much. It's free! When you run a business, you can't afford to pay for 30+ software programs that aren't critical to your business. With WP, Joomla, and support for most of the software, this is my first choice for a live support system. I am using this on my WordPress website and from my desktop app. This is really simple and easy to use. Pre-define chats make my support simpler. 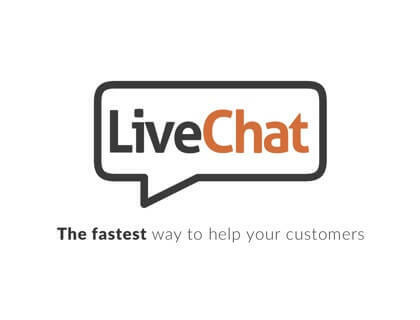 A good all round live chat service. Probably the best ting about Tawk.to is that it is completely free, it doesn't matter how many agents or websites you need, it's free. It's really easy to use & set-up/installation is easy too. It is one of the best chat I have used for my websites, it is very useful and easy to use, it allows me to establish communication with potential clients quickly. The administration panel is very intuitive and allows us to analyze the visits and chats that are made on the web, we can also use it from our smart phone by downloading the app. Very efficient chat tool. Perfect for interactive and communication with website visitors. No optimization features (S.E.O) which could make a lot of significant improvements. No ability to upload files during chat conversation. Tawk.to is the best chat application on the market right now, and it's free! You can add it to your site in 2 minutes, add as many agents as you want, create canned responses, create tickets right on the dashboard. And if you are a designer or manage multiple companies, you can have one account that administrates all of them!